It just sits there: Birds call it home. Maybe some wary deer or some fidgety mice creep across it. Maybe there are trails for hikers and bikers: heaven for the dogs. Maybe it’s a farm with trees planted by the owner’s great grandparents, where drowsy cows lounge along the fence line and colts romp in the green spring grass. Open spaces have bordered our communities for as long as we’ve gathered together in villages and towns. We used to build walls to keep out the wolves or violent strangers. More recently, the acres around our towns were kept as farms or pastures. In fact, most humans across time have lived close to fields and streams, livestock and wildlife. It’s no wonder that many of us like it. We cherish the views across the hay meadow at the end of our street and the moose that wander off the mountain into our backyards. But as our populations continue to increase, the hay fields become new neighborhoods, the moose end up dead on the side of our busy roads. It doesn’t have to be this way. Sprawl isn’t inevitable; it’s a choice. In many parts of the world people chose to live in denser clumps so that they can maintain parkland and communal open space around their homes. There are tangible economic benefits to what’s now called "smart growth." By clustering development, the community doesn’t have to build as many miles of utility pipes; it doesn’t have to pave and maintain as many roads. When people live close to their shops or offices, they can walk or bike, reducing fuel consumption and pollution. In fact, it’s been shown that people who live in New York City generate less greenhouse gas than us outdoor-loving Westerners, because New Yorkers can walk to get their groceries; they can take public transportation to their jobs and their entertainment. We Westerners have to get in our cars to go to work, to go the market, to get our kids to school . You see the pattern. 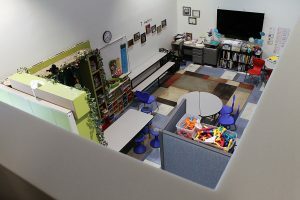 In addition to rethinking the way we structure our human habitats, we can also review the meaning and value of open space. It used to be thought that "vacant" land was a waste. Even now, with farmers and ranchers struggling to make a living off their land, we often think that the "highest and best" use of land is what will generate the most money. In Park City, with an economy based on outdoor recreation, the community has bonded four times and raised a total of $50 million to purchase open space. 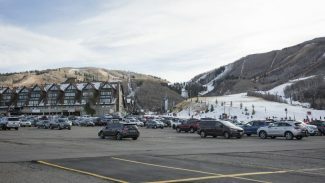 "Our resort economy requires open space," say Park City Mayor Dana Williams. "People come here for the open spaces, the fresh air, and the trails." 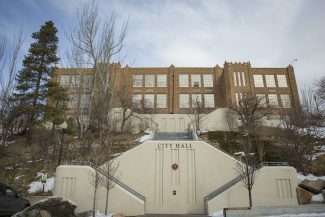 This month, Park City and Summit County, pooling their open-space funds, will purchase about 640 acres from the Boyer Company. Last December, they purchased just over 180 acres on a mountain top that everyone sees as they drive into Park City. All in all, between zoning requirements and outright purchase, Park City and the Snyderville Basin area of Summit County have preserved over 8,000 acres of open space. Clearly, these lands are highly valuable for their development potential, but as Dana Williams says, "We want to be judged not on what we built, but what we DIDN’T build." As it turns out, by not building physical structures, Park City has built a community. The open spaces in and around town are cherished by locals and visitors alike. Nonprofit organizations like Mountain Trails and the Summit Land Conservancy work with city and county governments to insure that the public benefit of these tax-payer purchases are accessible and protected for future generations. 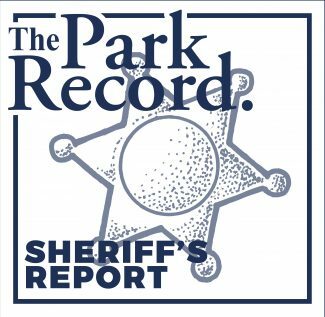 Summit County Commissioner Bob Richer is a long-time open-space advocate and one of the originators of Park City’s open-space program: "You have to be fair, and you have to be balanced," he says. "People still need places to live, and we still need to find areas for growth, but we need to do this with a greater understanding of how open spaces impact our lives and our communities. Because we realize how important it is, we have found ways to include the preservation of open land into our community." There’s no doubt we’re facing difficult economies in the coming year. But as we work our way out of this recession, let’s not forget what we know about the solid economic benefits of the open lands that surround our communities. Based in Park City, the Summit Land Conservancy, in partnership with landowners, works to protect the remaining agricultural lands, viewsheds, animal habitats, waterways, and rangelands in Summit County. As of December 2008, the Summit Land Conservancy held over 2,000 acres in conservation easements on some of the community’s most treasured landscapes.